Give yourself the sleep you deserve with ultimate comfort throughout all 4 seasons. 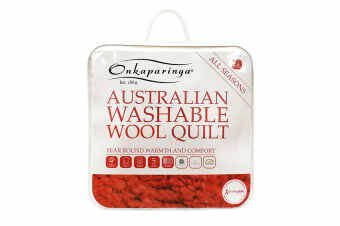 This Onkaparinga Australian Wool All Seasons Washable Quilt provides supreme comfort for all seasons. With premium cotton sateen casing and washable Australian wool filling, this quilt will keep you comfortable every night of the year! 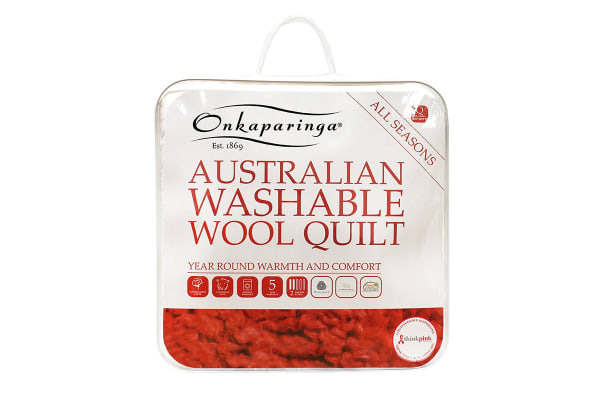 Featuring a square jacquard pattern with a cotton cover, this machine washable quilt by Onkaparinga has light to mid-weight warmth and comfort.